What is urinary tract infection? Urinary tract infection is usually a bladder infection which is accompanied by symptoms like constant urge to urinate and an uneasy and burning sensation when you do it. However, your bladder is not the only organ that is affected by this infection. Your urinary tract infection can extend from the kidney and also affect the urethras. The risk of urinary tract infection is high in pregnant women from the sixth week of their pregnancy. One of the main reasons why urinary tract infection is high in pregnant women is because of the changes in the urinary tract. The uterus is directly above the bladder and when the uterus grows the increase in size and the weight of the bladder can affect the drainage of urine which can cause infection. 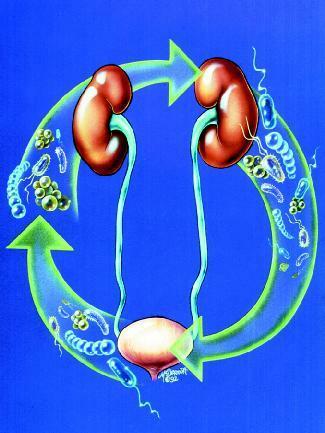 If the infection spreads to the kidney, you can experience back pain, fever and vomiting. 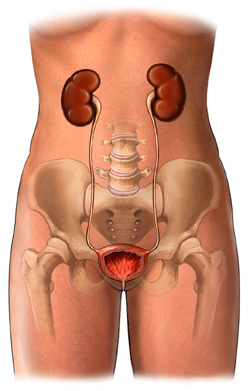 When urinary tract infection is not treated, it can lead to infection in your kidney. Infection in the kidney can cause early labor and affect the weight of the baby. However, if the infection is treated early and properly, it does not affect the kidney and will not harm the baby. If you are suffering from urinary tract infection, you can approach your doctor who will prescribe medicines that will be safe both for you and the baby. Some of the steps that you can take to avoid urinary tract infection include drinking at least 8 glasses of water every day, reducing the intake of caffeine and alcohol, urinating frequently, cleaning the genital area after urinating and wearing cotton clothes. People who take cranberry capsule to deal with their urinary tract infection can look at antibiotics to deal with the problem. According to a report in Reuters, a recent study conducted in Netherlands has proved that antibiotics are better than cranberry capsules if you want to prevent the recurrence of urinary tract infection. Most people believe that cranberry capsules are best for treating Urinary Tract Infection but intensive studies have shown that mixed results on the effectiveness of these capsules. The study in Netherland was conducted on 221 premenopausal women who had suffered at least 3 urinary tract infections in the past year. The study was led by Dr. Marielle Beerepoot of Amsterdam’s Academic Medical. To study the effects of cranberry and antibiotics, women were asked to take cranberry capsules and antibiotic trimethoprim-sulfamethoxazole every day. It was found that women who took antibiotics had fewer urinary tract infections when compared to women who took cranberry capsules. In some cases, women who took antibiotics had 50 percent less urinary tract infection than the group that took cranberry capsules. However, women who took antibiotics also built resistance to the antibiotic which means that their body will not respond to the drug if it was needed for some other infection. According to experts, many people still prefer taking cranberry capsules over antibiotics even if they known that it is not as effective as antibiotics. This is because it is natural and has fewer side effects when compared to antibiotics.